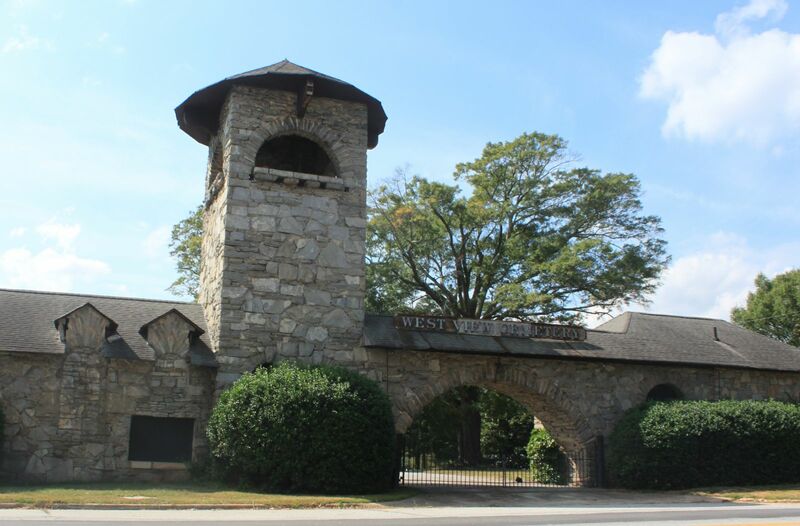 The Atlanta Preservation Center is delighted to announce that the 2015 Phoenix Flies Celebration of Historic Sites will introduce APC’s regularly scheduled walking tours of historic Westview Cemetery! Come learn about the lives of many important Atlantans like Joel Chandler Harris, Lemuel Pratt Grant, Henry Grady, Asa Candler and Harriett Harwell Wilson High while enjoying beautiful sculptures and historic structures. Tours will include the 1890 Gate House and the World War II era Mausoleum and Chapel. Prepare to be awestruck by the beauty and many layers of history this site represents. When Westview opened in October of 1884 with nearly six-hundred acres of land, it was designed to be the premier cemetery in the Southeast. It is still an active cemetery with more than 108,000 interments. Westview remains the largest cemetery in the Southeast and one of the largest non-profit cemeteries in the United States. The APC is working with the cemetery to conceptualize a preservation plan for the historic gate house from 1890. Half of the proceeds from each tour ticket will go towards this preservation effort. For those interested in taking a Westview Cemetery tour, you may meet at 1680 Westview Drive SW, Atlanta, GA 30310, near the stone gatehouse for the start of your tour.